Molotov Cocktails and rocks thrown at some 300 visitors who entered tombs of prophets Natan and Gad near Hevron to pray. IDF forces, reinforced by Border Police and regular police forces, secured the entry of 300 worshipers to the graves of the prophets Natan and Gad in the village of Halhul near Hevron, an area under the IDF Etzion Regional Brigade's purview. According to the IDF, during the prayers there were violent riots during which stones and Molotov Cocktails were thrown at the forces, who responded by means of riot-dispersal tools. There were no casualties, and no damage was caused. During the course of Shabbat (the Sabbath), IDF forces from the Jordan Valley regional brigade seized “Carlo” weapons near the village of Khirbet Atuf. 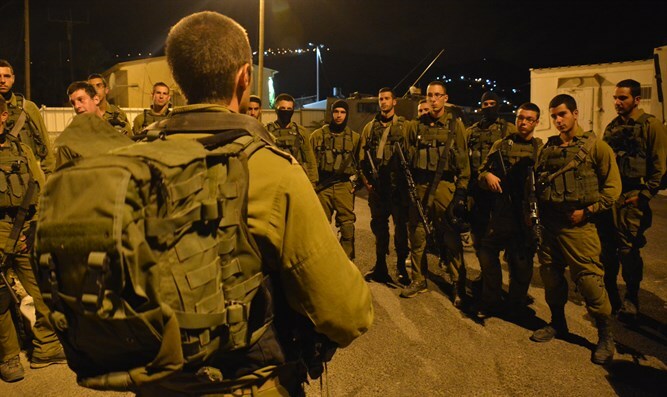 In addition, IDF forces, the Shin Bet, Border Police and Israel Police arrested six wanted terrorists in Judea and Samaria suspected of involvement in terror activity and violent disturbances against civilians and security forces. The suspects were transferred to appropriate offices for interrogation.